The emotions ran deep as each was ordained to the order of Permanent Deacon. Outside the Cathedral of the Immaculate Conception, family, friends and dozens of well-wishers gathered to congratulate our new deacons. These men and their wives completed a rigorous 6 years of preparation and formation. Today, they entered their ministries with full hearts and a commitment to service that was clear to the hundreds who participated in the Ordination Mass. They join over sixty deacons whose outreach encompass ministries in health care, for the elderly, schools, community programs for those in need and prisons. They are preaching the Gospel news in word and deed each day in communities throughout the Diocese of Syracuse. My brothers in Christ, it seems like yesterday when I started my formation journey, two years of Formation for Ministry and four years in Deacon Formation….It has been a long 6 year journey. My journey to Ordination as a Deacon is quickly drawing to its conclusion. With only eight days remaining, I am beginning to see the light at the end of the tunnel as an Aspirant in my final 4th Year of the Deacon Formation Program, Roman Catholic Diocese of Syracuse, New York, USA. Along with seven other men and our wives, we are fulfilling a journey of spiritual growth, faith and fellowship as we prepare to move into ordained ministry in our parishes. 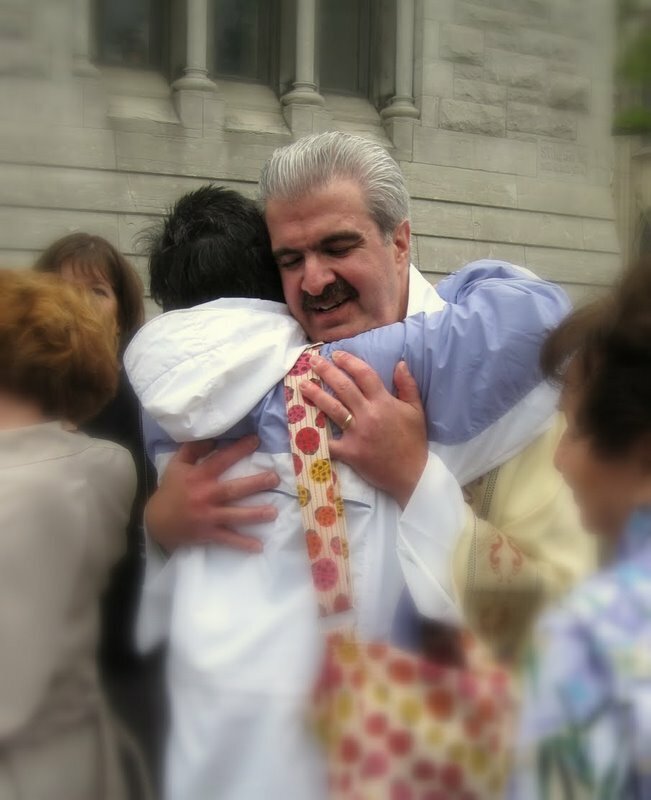 I ask that you keep me, as well as my classmates, in your thoughts and prayers as we go before the Bishop on May 15, 2010.